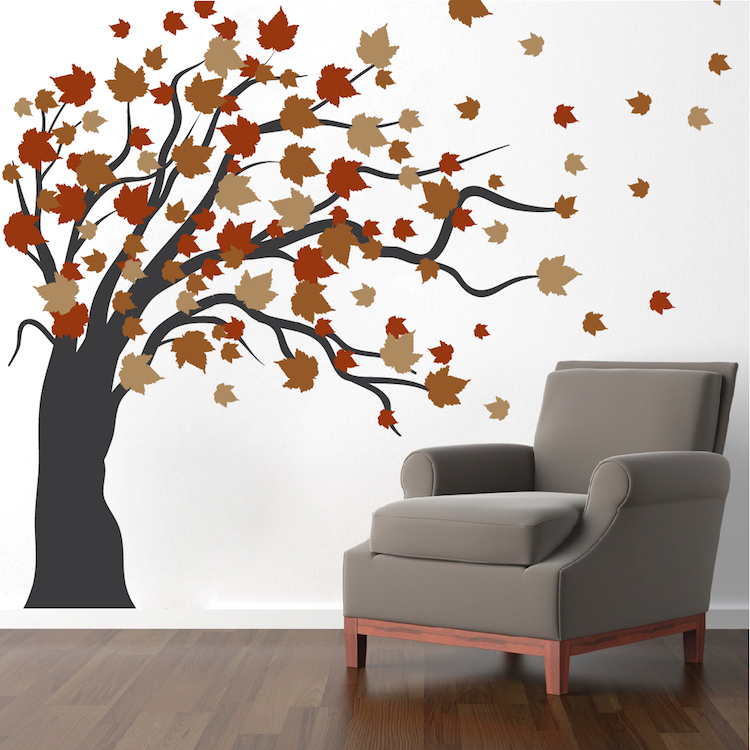 The large Autumn Spring Tree Wall Decal can turn your plain room into something extraordinary in minutes! 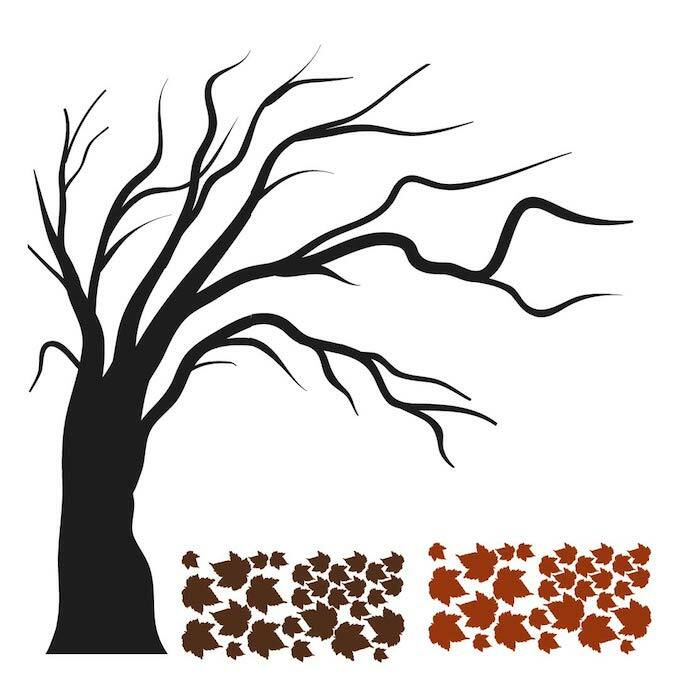 Choose spring colors for the leaves or autumn colors for fall. 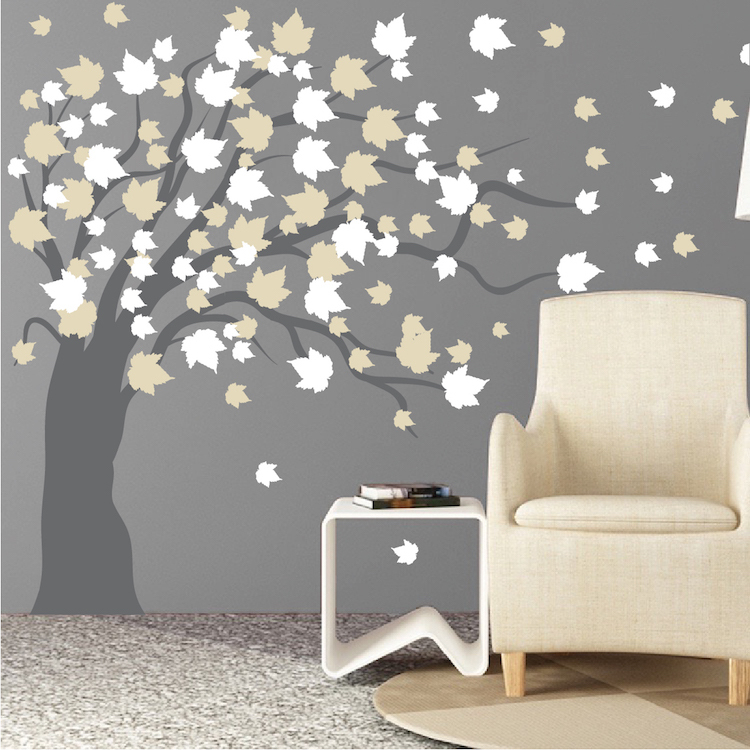 For a modern feel, pick only one color for the leaves. 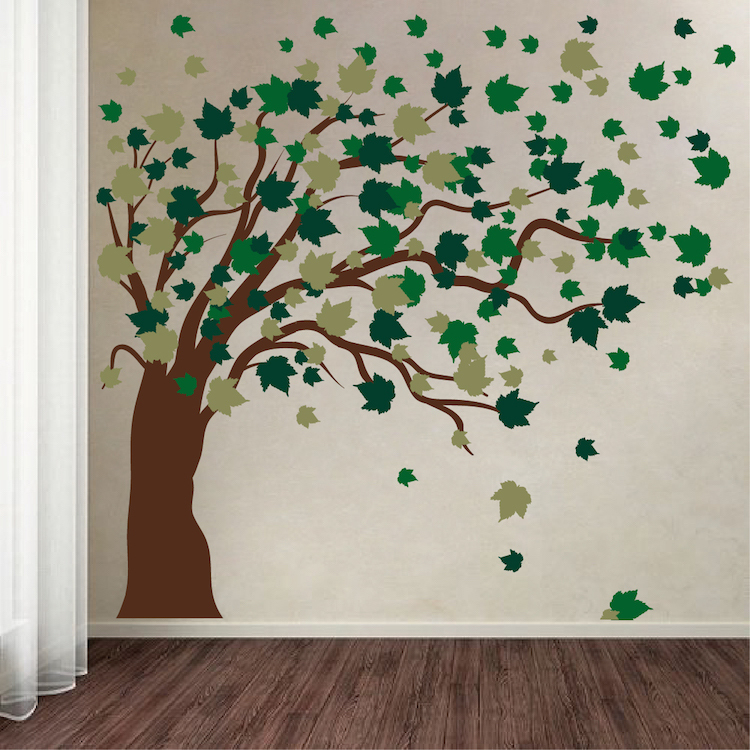 You can't go wrong with this beautiful tree mural! For an additional $8 you can purchase another set of leaves. Looks better than I had imagined! My order arrived in great time, even with having to cross the border. While it would probably be a bit easier to have two people put this up due to the size of the sheets it was still very manageable with just one person. It looks absolutely fantastic and I would definitely look to get future products from this company. Love love this tree in my living room. I watched the application video and applied it all by myself. It looks amazing. It made my living room. Thank you! at first i was hesitant to buying this tree because it was so big and i thought putting it on would be a hassle. i followed the instructions and got the trunk on with in 15- 20 mts. the leaves come separately and you just peel those off and place them however you please, you can also peel them off and rearrange them! the tree looks fantastic and it really transformed the room.